I have been fortunate enough to have had a little bit of spare money throughout January, which is the exact opposite of how my January’s normally go – not getting paid for around 6 weeks and scrounging off of my other half in the remaining days before pay day and checking my account at midnight to make sure my company have actually paid me! January 2015 was actually a little kinder on me. These are my new babies! 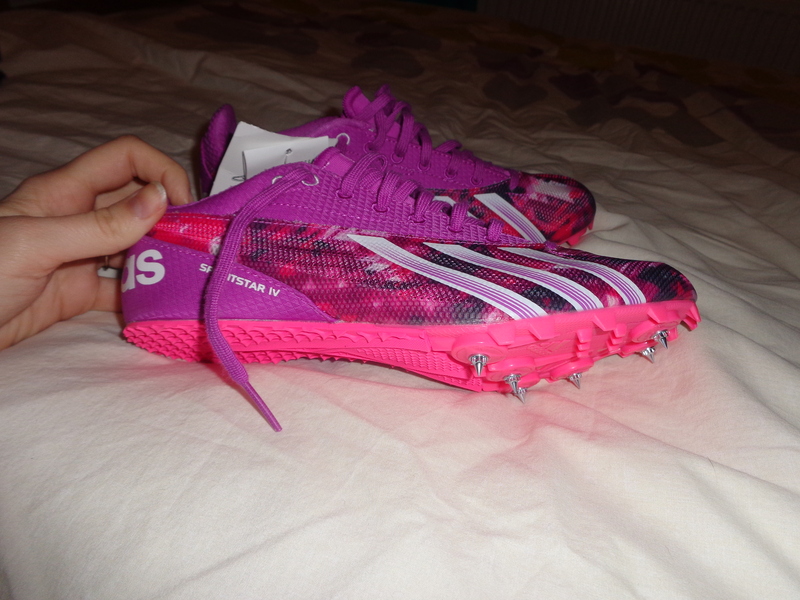 When I first competed for my club back in June last year, everyone had a pair of spikes so I was incredibly jealous, but being a novice you don’t know if a) you’re going to enjoy this whole speed milarky and b) whether they’d be a wasted investment as they’re quite pricey. So after a lot of uhming and ahhing I decided to treat myself to these beauts. 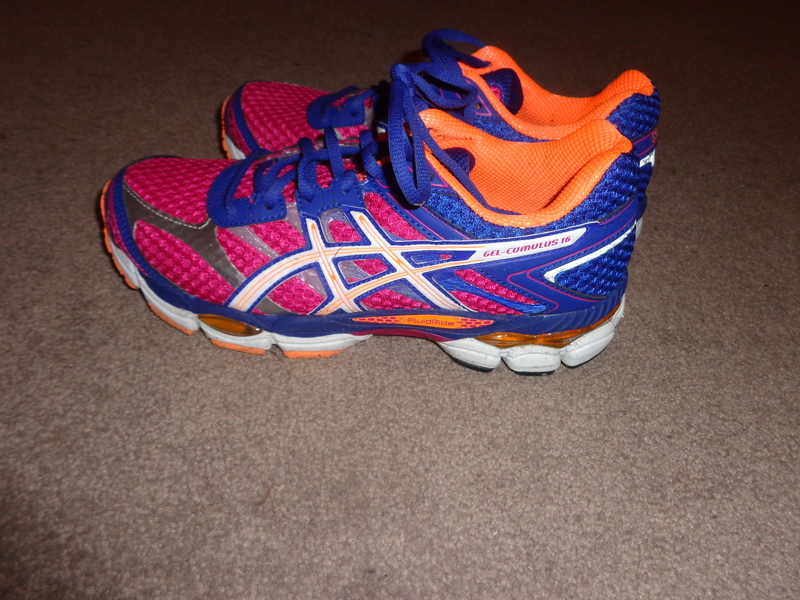 I’m not normally a fan of girly colours but there’s not as much choice in this area of running shoes. I haven’t had a chance to test them out but I’m expecting to put them to the test on Thursday. 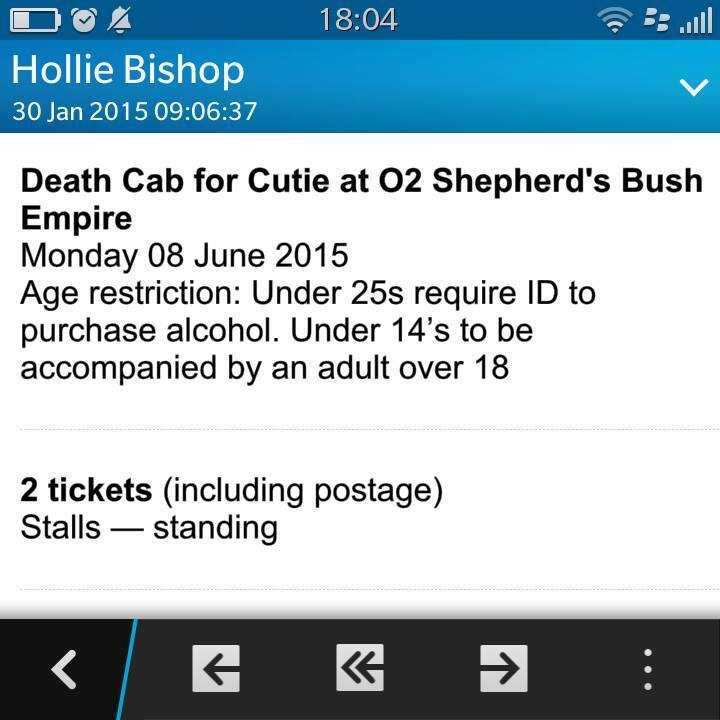 Ah god. What can I say about these bad boys? 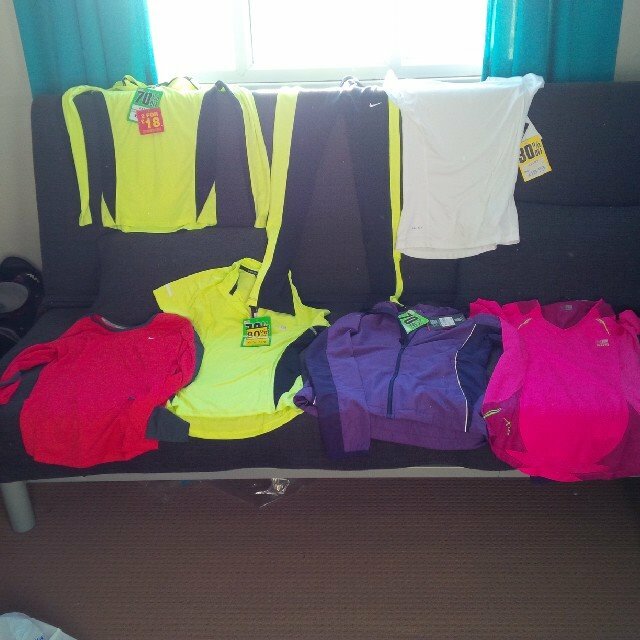 I was in a phase in January where I needed to buy anything and everything running related to give me a boost to get back into and ‘own’ running again. 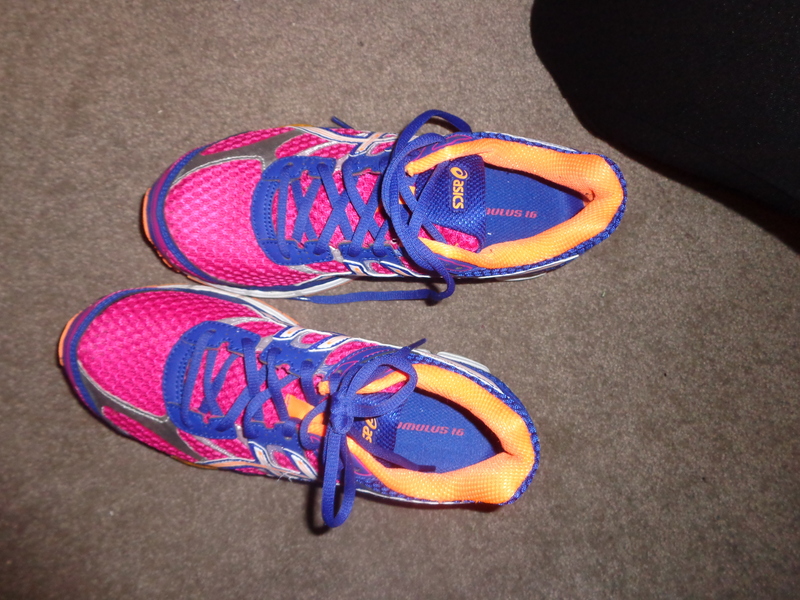 I was sick of getting annoyed at my regular running shoes, which when I originally bought they made me buy a size larger than my normal shoe! After getting my gait checked (I’m now a neutral gait woohoo), I realised I had loads more shoes to choose from and come across these bad boys. The shop assistant said the size is always down to preference and whoever sold me my 6’s clearly had no 5’s left in their more expensive shoes – what a mug that made me feel. So I opted for these in a comfy 5.5’s and I can only describe them as a dream to wear. 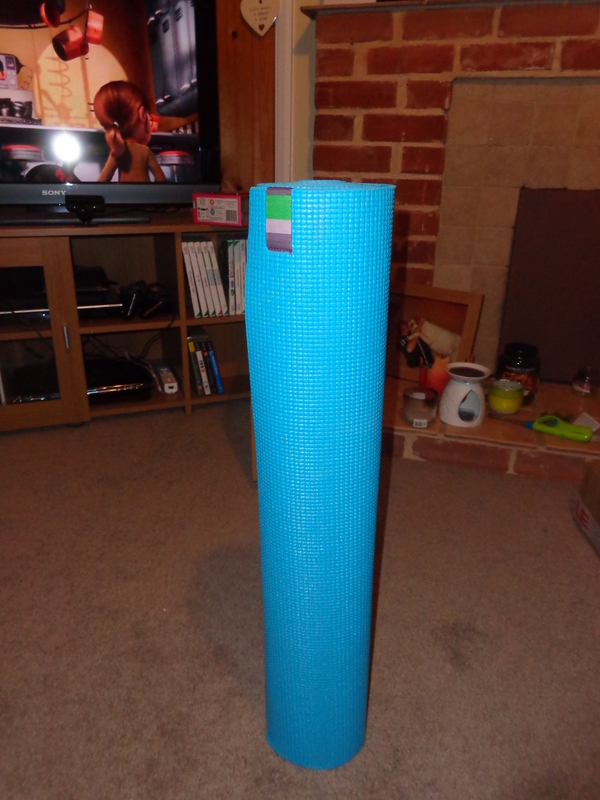 I also decided a Yoga mat would be a good investment for our home as stretching is super important with running and with my stress levels raging at the moment, I could probably do with the ‘chilling’ aspect that comes with Yoga. 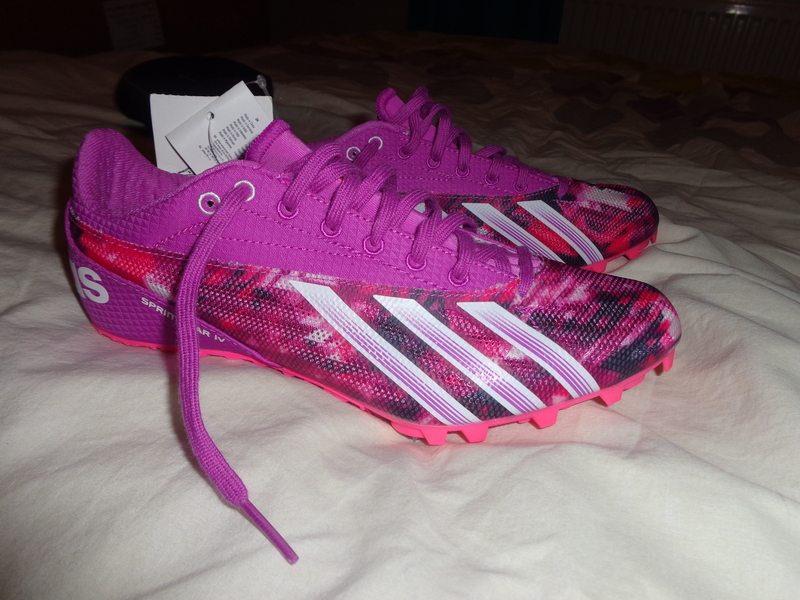 Soooo I may have gone a little crazy in Sports Direct. How can I not? The prices were an absolute steal in the January sales. I’ve tested out all of the clothing above, except for the 2nd top on the bottom row as it’s not been warm enough to wear alone yet. My favourite is definitely the Karrimor pink item on the right for the gym ( it has small holes in so I don’t get too hot) and also the bottom right long sleeved Nike top, it has the hand inserts which really help to warm my hands with long distance as taking gloves, even in the snowy weather we’ve been having, is a big no no! I also purchased this hoodie…however it may look mint green to you but when it arrived, I realised it was actually more green than a light mint as I think the picture shows. I’m actually in the process of sending this back for the coral version – something a little more girly and not usually what I’d opt for! The only other bits I really bought in January were race places, event sign-up’s and ….. the entry to the New York marathon ballot! I know my chances of a place are slim, but I secretly really really want it. I think mentally I am now ready for it. To end this, I’ll also tell you I splashed out and got my hair highlighted, not something I often allow myself to spend money on in the fear of having my hair look like a zebra crossing…there’s a reason for that…because it’s happened again! With 20 weeks to go until the wedding, I’m lucky this didn’t happen later on, but I’m still pretty annoyed as I look like a toddler has put yellow strips of Play-Doh through my hair. I’ve got a few ‘end of year / new start’ themed posts lined up to write, which is unusual for me to be thinking about as I am such a NYE Grinch. I think there’s so much pressure for you to go to an awesome party, be around all of your friends AND family and try to live up to the saying, ‘how you spend NYE is how you’ll spend the next year’. Well to be quite frank I’d rather sit in drinking a bottle of wine and eating cheese and if that means I’ll be doing that for 2015, I will not be moaning! But alas I’m being dragged out to a party where none of my friends will be seen as they’re all in different places this year so it makes sense to see all of Ben’s friends! So I’m putting my foot down and hosting a New Years party next year. My friends and I haven’t spent a NY’s together in…ever? We couldn’t do it this year as we’re having works done the house and the ground floor is so cold you pretty much have to wear a coat and slippers as soon as you walk down the stairs – not cool. Rather than talking about my resolutions in this post, I will save that for maybe tomorrow or a week from now as my post timings have become really irregular due to the fact I have been crazy busy over the ‘relaxing’ Christmas period. Instead, I’m going to look back at the whole reason I made this blog – My Bucket List. 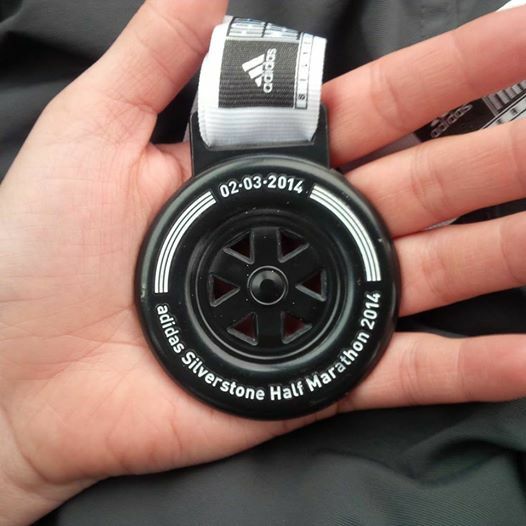 In March of this year I completed the Silverstone Half Marathon, my first half marathon of hopefully quite a few, if my body decides that it will allow me to push myself this much! I really loved this day, I can’t lie it was harsh conditions with a lot of wind and considering I was injured the week before, I didn’t fancy my chances. 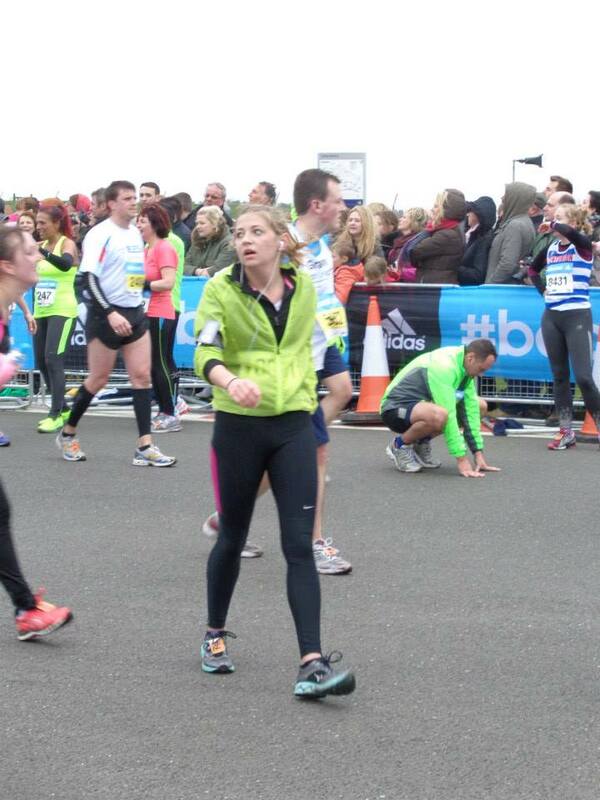 I completed this in 1hr 59, which I was happy with as my goal was sub 2hrs! Woohoo! We celebrated with wine and steak that night at one of my favourite restaurants. Check out this tired, sweaty mess ! As featured in one of my recent blog posts we visited Cologne, Germany just before Christmas which was incredible. As this is still pretty fresh for the blog, go check out the page as I won’t bore you with the details I’ve written in the past fortnight. 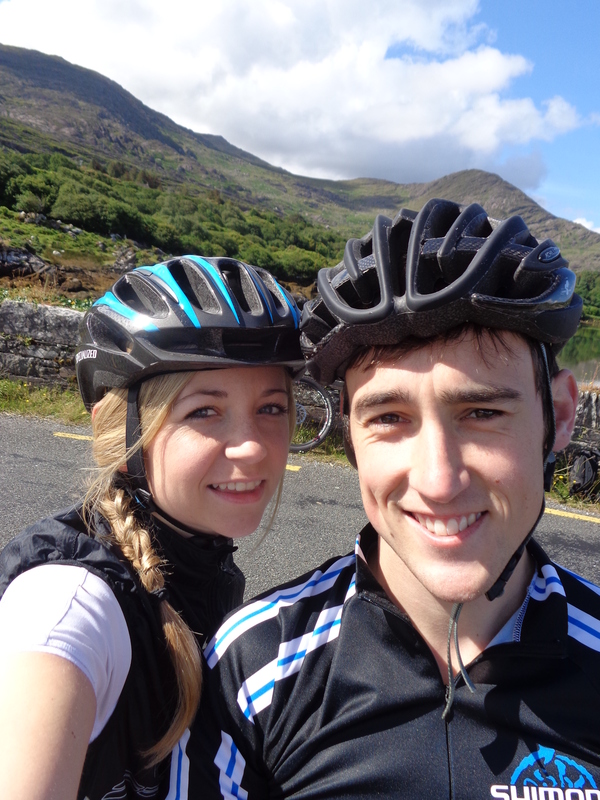 Again, this one I completed on our holiday where Ben proposed in Ireland. 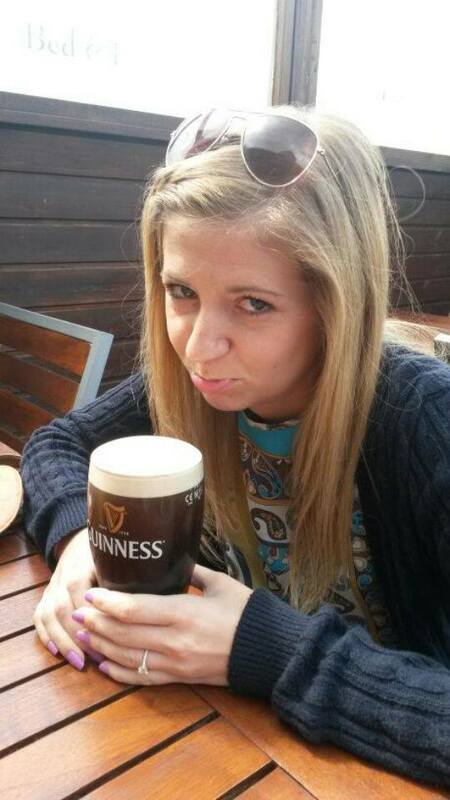 I had tried Guiness before this point but really hated the stuff. 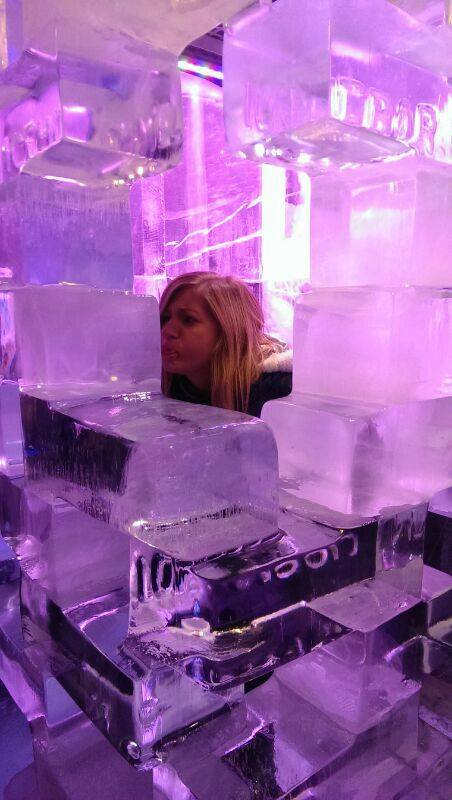 But I felt it had to be done – when in Rome and all that! This one was a bit of a cheat because my friends and I actually had Prosecco. But if I’m honest I actually prefer the stuff, it’s so much easier to drink – dangerous. 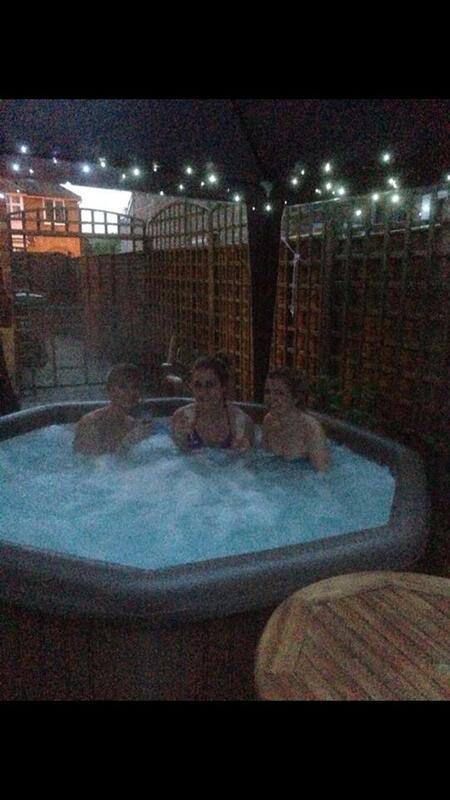 The hot tub was rented out for my bestie’s little sister’s birthday as a surprise, so once she’d got over the novelty of the hot tub, we took our chance and had a night in there! It was pretty sweet actually, I felt like a rich and famous person. I know hot tub’s aren’t too expensive but I don’t think I’d ever want to invest in one, especially now we’ve moved to Suffolk! SIX! I managed to complete 6, which is pretty much the goal I wanted last year – I’m happy with that one. One of my resolutions is to get through a few more of these next year, I have a few in mind, can you guess which ones? If you’re struggling for a New Year’s Resolution, I suggest making a Bucket List and trying to get through 5-10 each year, it’s such a fun way to make sure you’re not wasting your life. I am constantly adding to mine throughout the year when I remember something I am desperate to do! Did you guys tick anything off of your Bucket List this year? A prolonged delay in this post but…I’ve finally made the time! I completed my half-marathon in sub 2 hours, which was my goal and considering I had a knee injury before I was so chuffed! Since then though, I’ve had a complete bad spell of illnesses. AWFUL. And a LOT going on in my life! Decided I enjoy blogging but I’m not sure whether I could add just general posts to this, the whole meaning of the blog will be lost, right? I’m considering giving up Facebook too to see whether I have more time with just life in general. I feel I have a million and one things to do and I’ve been putting my goals on a back seat. Time to take control again!